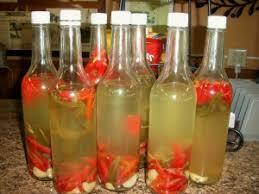 Pique (Homemade Puerto Rican Hot Sauce) - Tienditadepuertorico.com - Buy Puertorican Food Here!! lime juice or pineapple juice. Let sit at least a week before using to blend flavors.